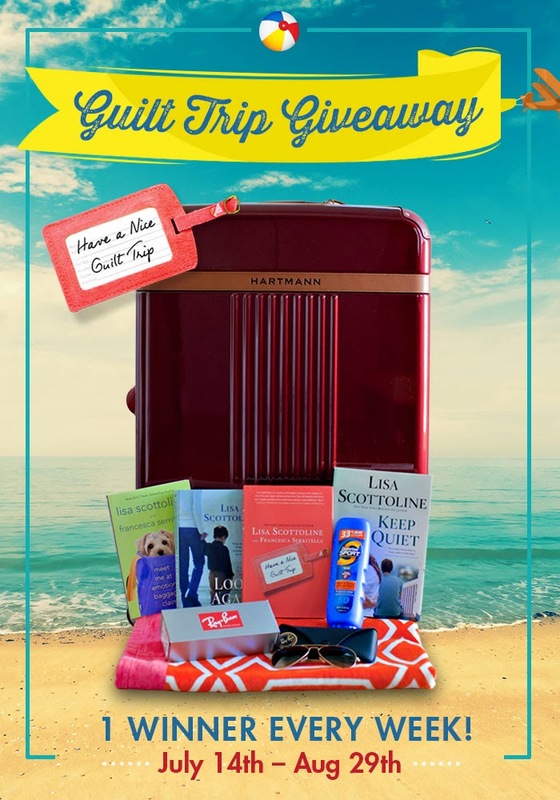 Mother-daughter author team Lisa Scottoline (@Lisa Scottoline) and Francesca Serritella (@Francesca Serritella) have a new essay collection called HAVE A NICE GUILT TRIP. I've read a few of their prior books and I really enjoyed them -- I love their mix of humor and insight! I just happen to have a copy of this book one set of FIVE books -- plus their FOUR previous books--to give away to one lucky winner. 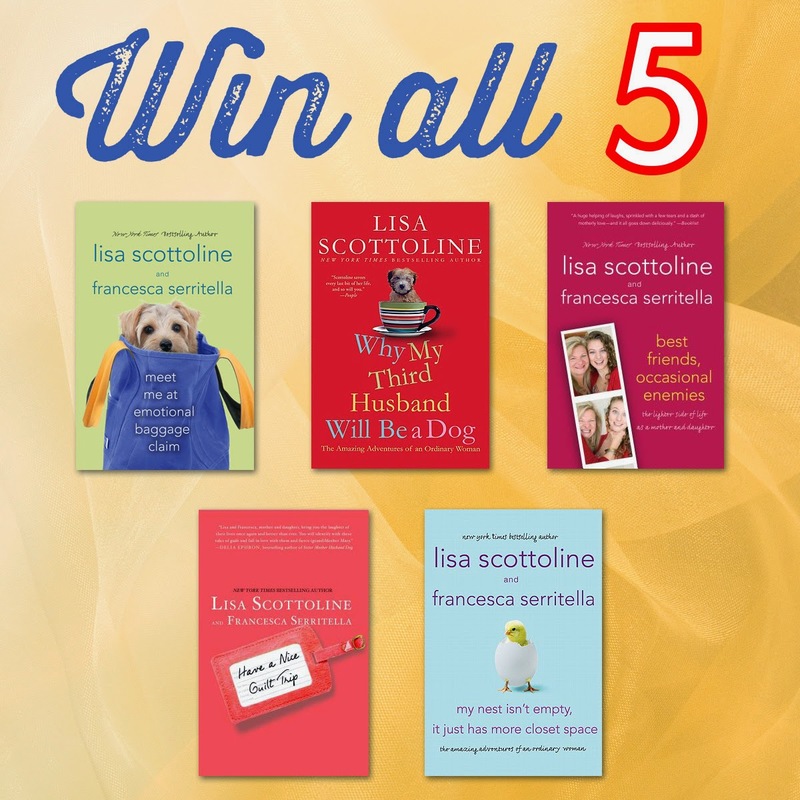 (Yes, the winner gets all 5 books!) But more on that below! To enter, just fill out the form below before July 30th at 11:59 p.m. EST. I will randomly select and notify the winner the following day. This contest is open to those of you with U.S. addresses only. Good luck! I look forward to these collections every year! Thanks! Thanks looks perfect for me. OOH I have heard such great buzz around this book. Thanks for the fun giveaway! I've never read any Lisa Scottoline, but she's been on my list for awhile. Winning would be a great way to start. Thanks for the chance!